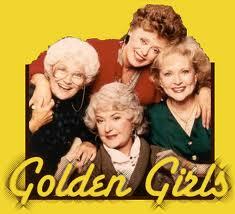 “The ’80s TV sitcom The Golden Girls gave Connie Skillingstad a good idea: older women who live together. Skillingstad is founder of Golden Girl Homes, a group that helps older widows, divorcees, and otherwise single women find or create alternative, affordable shared housing. ‘Golden Girls is about helping open up the options for women,’ says Skillingstad. Formed in 2001, the Twin Cities-based nonprofit is based on the premise that older women want, need, and deserve more diverse housing options than senior housing facilities or solitary living. For many women it is not financially feasible to purchase and maintain a house on their own, and single living may leave them feeling lonely and disconnected. via Golden Girls Go Home. A recent AARP survey found the 86% percent of respondents aged 45 and older hope to stay in their current residence as long as possible. However, many seniors are faced with the prospect of having to leave their homes as they age because they lack an adequate system of support to enable them to stay where they are. A little over a decade ago, residents of the Boston Beacon Hill neighborhood began looking for a way to address this specific problem. And, in 2002, Beacon HillVillage, the first aging-in-place village, was born. There is an interesting article that appeared today in Grist. The gist of it is that Baby Boomers—–along with their children The Millenials—–are largely responsible for the decline of the suburbs, and that the future of the country is urban and walkable. Obviously, crediting the Boomers with the demise of the suburbs is an oversimplification. There are many reasons the suburbs are in decline, and I am not going to go into them here. What is worth noting is the survey finding that “Boomers want to live in a walkable urban downtown, a suburban town center or a small town.” In other words, in a place with easy, walkable access to a full range of services and amenities. For those of us who already live in a walkable urban setting with ready access to services & transportation, the desire to find a way to age-in-place (ie. in our own homes), rather than be forced into some institutional retirement community, is overwhelming. So it makes sense to invest the time and energy to create a Beacon Hill style village for our own neighborhood so that it will be available by the time we need it.